The Prospect Hill Cemetery Association promotes education and outreach at the cemetery. In 2006, Shelly Sass, an architectural conservator, held a workshop on historic gravestone cleaning at Prospect Hill Cemetery as part of the island’s Preservation Month. The workshop was funded by Nantucket Preservation Trust and was hosted by the Maria Mitchell Association. A demonstration on the proper cleaning techniques for monuments was conducted at the Mitchell family lot. Prospect Hill Cemetery Association and the Maria Mitchell Association continue to educate the public with an annual workshop: “Preserving the Monuments of Our Ancestors: How to Properly Clean Historic Gravestones”. This class is a hands-on workshop for participants to learn how to properly clean stone monuments. Prospect Hill Cemetery and the Maria Mitchell Association continue to host this annual workshop. Check our Calendar of Events for the next workshop date and time. As to our commitment to the historic value of the lives of those interred at Prospect Hill Cemetery in 2012, we published Tuck't In: A Walking Tour of Historic Prospect Hill Cemetery Nantucket, MA. 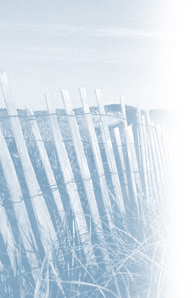 Tuck’t In includes numerous accounts of many well known and lesser-known Nantucketers. The stories are incredibly rich in history, lore and insight into the island and its people. The Prospect Hill Cemetery Association believes it is important to preserve our island history by recounting the stories of people in our historic burial ground. The Prospect Hill Cemetery Association published this who’s who of Nantucket history with the help of donations and grants. 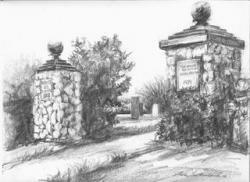 The proceeds from our book help fund restoration, conservation and preservation at the historic cemetery. Prospect Hill Cemetery Association and Nantucket Maria Mitchell Association preservation workshop demonstration. June 7, 2014 Prospect Hill Cemetery Association and Nantucket Maria Mitchell Association preservation workshop deomonstration.